How Do I Pay for University? - SchoolFinder.com! Tuition and textbooks, rent and parking passes - oh my! It can feel a little daunting being a post-secondary student when considering the bills. Fortunately, there are plenty of resources and approaches that can help you get through school without breaking the bank. Of course, it can be easy to miss out on opportunities if you don't know where to look. Check out these tips to help you get the best bang out of your student bucks. For many students, a loan is the best financial option for helping out with tuition until graduation day. You may even qualify for a grant to aid in expenses! The process might seem a little confusing; but thankfully, VIU's Financial Aid & Awards department can get you started. They recommend you apply a minimum of eight weeks before classes start. It would be pretty cool to discover that your hard work over the semester paid off -literally! Vancouver Island University offers more than $3.5 million in bursaries, scholarships and awards. After enrolling, one of the first things you should do is fill out your Scholarship, Awards & Bursaries Profile in My Student Record. There are also lots of external awards available. Depending on your program or other circumstances, you're likely eligible for an award that will give your bank account some breathing room. Don't miss the deadlines! Finding work-experience related to your field of study is another great option to supplement your income. 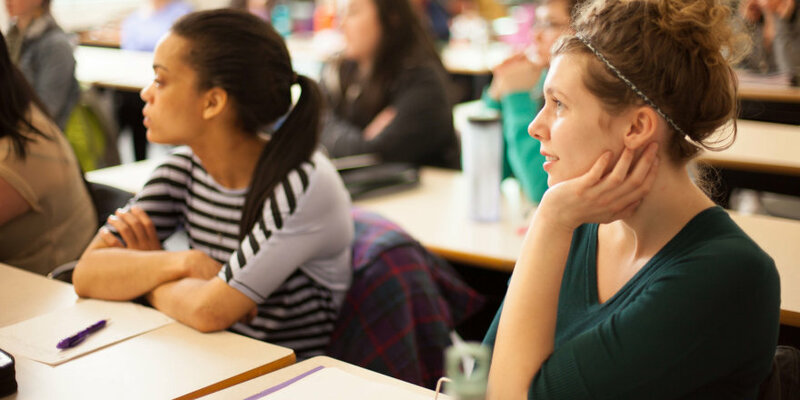 VIU has a variety of paid Co-operative Education and Internship programs available to students. Co-ops and internships allow you to connect with professionals and apply your academic skills in a work setting - all while contributing to your program's requirements. Check out VIU's Centre for Experiential Learning (CEL) for more information. Want to stay on campus? Last year, VIU students worked at more than 400 part-time jobs on campus. Remember: Employers love their students, and many will accommodate your academic schedule if you talk to them about your needs throughout the semester. It's important to find a part-time job that provides flexibility within your educational priorities. For students, it's important to learn the "art" of fiscal responsibility. Until now, maybe you haven't had a lot of experience with balancing your books. It might sound super boring, but knowing how, when and what to spend your money on is crucial for keeping your head above water and staying on track with tuition. VIU's Budgeting Tips & Resources is an excellent guide to begin your budgeting masterpiece! The budgeting worksheet can help you keep track of your money and prioritize your spending. For anyone unfamiliar with doing taxes, a "T2202A receipt" might sound like something out of a Star Wars movie. Thankfully, with the help of this Tax Form FAQ and this free tax service, you can easily calculate your deductible tuition fees and land yourself back on planet Earth. Further information on Canada's Tuition Tax Credit can be found at the Government of Canada website. Knowing how your tax credits work is essential in helping you understand your financial situation - and can help out with bills after graduating, big time. In closing, here's the best news - while a university education costs money, there's lots of statistics backing up why it's a good idea, from higher earnings graduates make over their lifetimes, to the increased career options that open up to you. If you have more questions, just ask! Raymond Wade is a VIU Creative Writing student, musician and restroom critic. In addition to being a non-fiction editor for Portal Magazine, he also provides a variety of content to the Navigator Student Press, where he holds the position of online reporter.